According to the Roster for Tod Post No. 29 Department of Ohio, Grand Army of the Republic published in 1925 by Garrison Coale, Adjutant, and J. F. Johnston, Quartermaster of the post, Tod Post was organized in March 1880. The post took its name from Governor David Tod, a native of Brier Hill, Youngstown, OH who served as governor of the State of Ohio during the Civil War. Regular meetings of the post were held every Friday evening at 7:00 p.m. in the Post Rooms within the Mahoning County Court House. For a time they also met at the Knights of Pythias Hall. Election of officers was held annually at the first meeting in December. Installation of officers was carried out at the first meeting in January in public with Tod Relief Corps. Memorial Services for deceased members were held in the Post Rooms, at the Court House on the last Sunday of the year. John O. McGowan was the first post commander, serving in 1880. 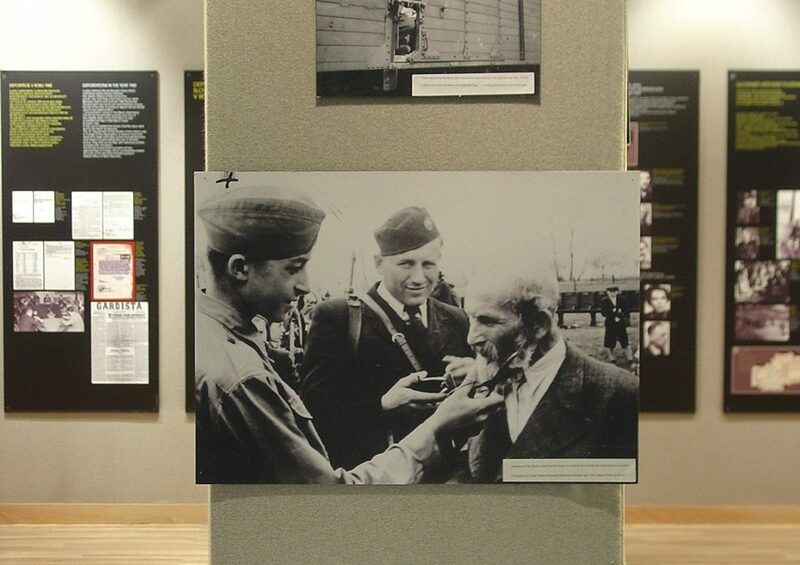 The post continued to exist until 1944-1945, formally closing upon the death of their last member. 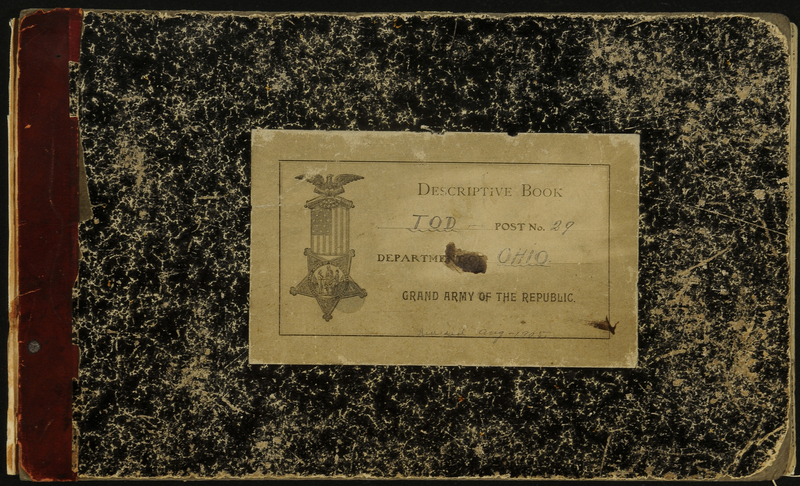 Scope and Content of Collection #36: Through their history, Tod Post collected published and unpublished works associated with the War of the Rebellion, Spanish-American War, and related subjects. 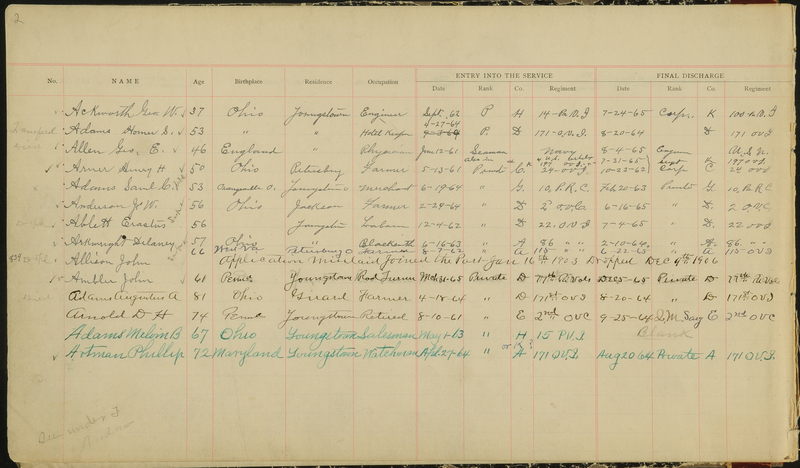 Original ledgers were also obtained by the post. There is a partial set of the War of the Rebellion Series; regimental histories; state-level histories of units and battles; background histories of participants in the war; and published rosters for Ohio and Pennsylvania. The collection includes Minute Books for the Post, 1880-1945; Financial Records, 1868-1886 (not inclusive); Quarterly Reports, 1886-1899; and Member information, including details about service. There are also records from auxiliary groups including: Ladies Relief Corps, 1885-1898; Office Soldiers and Sailors Relief Commission, 1907-1912; and Auxiliary of United Spanish War Veterans – Dept. of Ohio, 1900-1927. There is a series of Annual Encampment Reports and Programs from the Department of Ohio, GAR dating from 1892 (26th) – 1927 (61st); National Encampments, GAR, 1887 (21st) – 1924 (58th). There is a sample of programs from other state level departments of the GAR. Original ledgers include the Medical Report and Morning Report books for the 12th Ohio Volunteer Cavalry, 1864-1865 during their campaign in Kentucky. 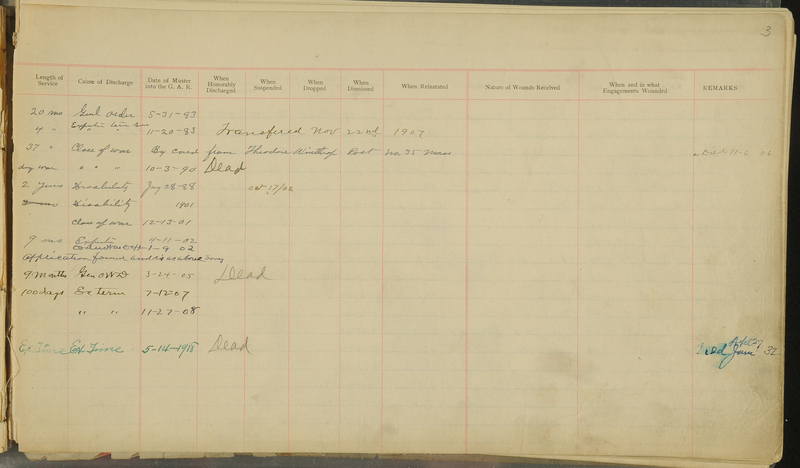 Kirkbride Post #600 GAR minute Book for 1886-1914 is also in the collection. There are also two files of photographic images, primarily of members of Tod Post #29, GAR.